This is the latest rendering of the MX-5 successor coming from Japan. This rendering, published by BC, looks much better that the other ones I have came across. Expect the new model to be launched next year. This sure looks like a gem, just looks at how well the grille and headlamps compliment each other. 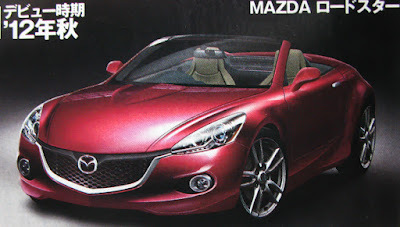 They pushed away from the cheesy smilie face to a more mature and modern interpretation of what a small convertible should look like. I can't wait to see their other cars that are heading down the pipeline.